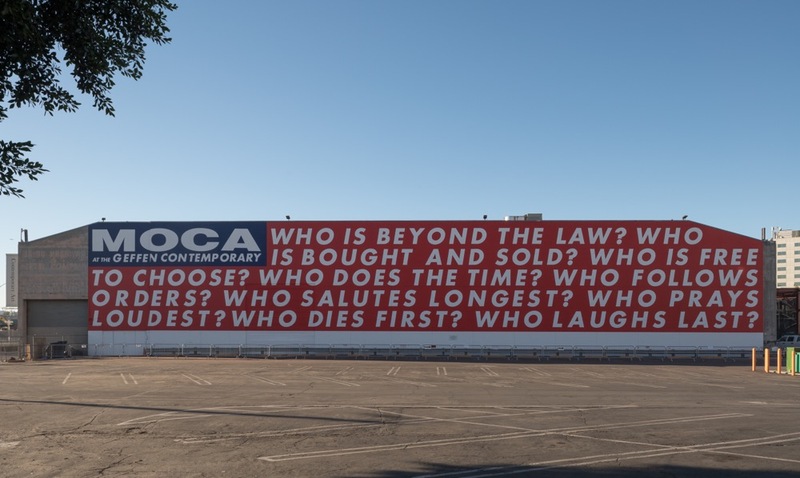 Just in time for the Tuesday, November 6, 2018, midterm elections, the Museum of Contemporary Art (MOCA) in Los Angeles is restaging Untitled (Questions), a graphic installation by Barbara Kruger from 1990 that asks nine pointed, politically-charged questions about today’s troubled cultural climate. 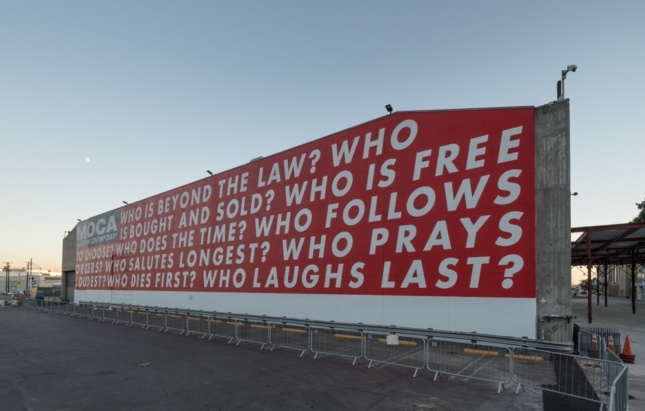 The public art installation was originally created amid the backdrop of George H.W. Bush’s conservative presidency and at a time when partisan debate in the United States and fears of an impending war with Iraq were at a fever pitch. The mural originally stood on the south wall of what was then known as the Temporary Contemporary (TC), an industrial structure designed by Albert C. Martin in 1940 that was repurposed in 1983 by Frank Gehry into a transitional home for the fledgling museum as its Arata Isozaki–designed Grand Avenue headquarters was under development.